The Texas Education Agency has made available a new program for any former student who entered ninth grade before the 2011-2012 school year and did not graduate due to failing the TAKS, TAAS, or TEAMS test. 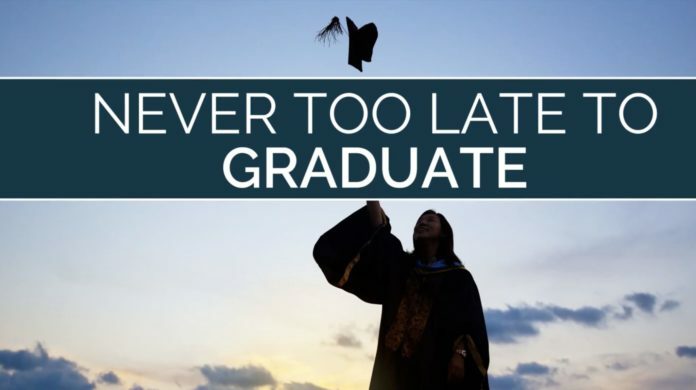 As a result of this new TEA program, former students now have options to graduate and get their diploma, but action needs to be taken now as the program expires September 1, 2019. Provides evidence of attainment of an industry-recognized postsecondary license or certification. Has successfully completed college-level coursework and earned college credit. The program has graduated 21 former students so far through one of these alternative methods, but Moore says she wants to find everyone who is eligible. If you or someone you know qualifies for the graduation options listed above, act now! To find out how Klein ISD can help you receive your high school diploma, email Shelli Moore at smoore1@kleinisd.net or calling her at (832) 484-7694.